"Come in for a great smile"
Welcome to the Bridge Dental Clinic in Guernsey. Hello, my name is Dr Hylton Jenkins and welcome to the Bridge Dental Clinic website. My colleague Dr Ushita Shah and I look forward to being your dentist in the future if you are not already a patient here. As your family Dentist, we promise excellent GENTLE Dentistry and a friendly service, at a very reasonable price. Let us solve your dental problems and do our very best to ensure that you have minimal Dentistry required in the future. The best motivation for visiting your Guernsey Dentist is the fact that Dental problems don’t get smaller. They get bigger…. and…. a lot more expensive to treat! Please don’t try to ignore your problems. Come in and discuss your options. An examination and a good chat never hurt anyone – ever! We will always try to find the treatment to suit your budget. Let us help you achieve a healthy and confident smile. 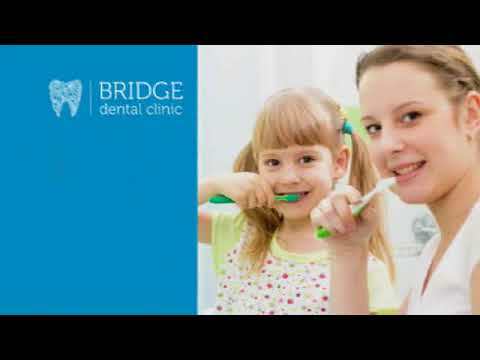 At the Bridge Dental Clinic, our aim is to make your dental visit a relaxed, pleasant and stress free experience. We will explain the diagnosis, the options and the procedures. This allows you to fully understand your options and make the choice, which suits you. As a family orientated dental clinic we will provide you with a detailed treatment plan and estimation of the cost before beginning any treatment.